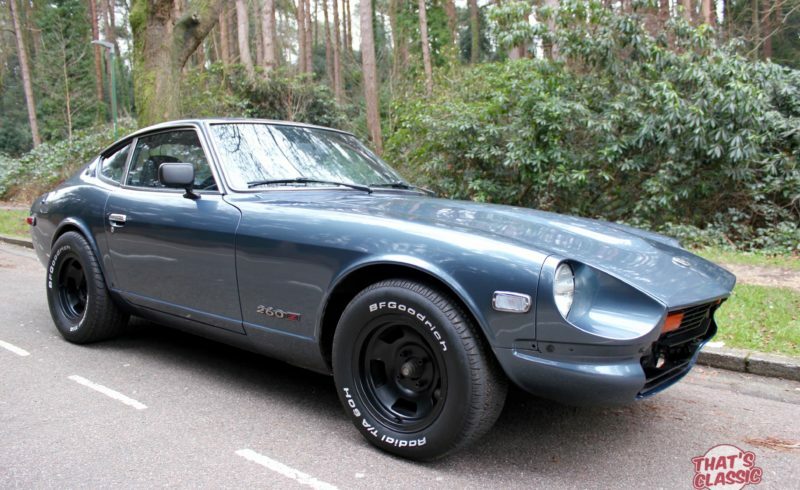 One of our all time favorites, The Datsun 260Z. Being only 1 of 73 on the road in the UK, this makes this beautiful Japanese classic a very rare beast today. It has the original 2.6 litre straight six engine, The original carbs were upgraded to twin Weber carbs which have been recently rebuilt and tuned. It also has a Stainless steel exhaust system with twin tail pipes ends which sounds amazing!!!!!!! The car was painted at the beginning of the year before it left the United states, in gun metal grey which really finishes it off. The interior is complete with the original leather front seats which are in good condition. There is no rust on the car whatsoever, spending the major of its life in Sunny California where it rarely rains and is a very mild climate. The cars from California don’t suffer from the same rust issues UK cars have, especially the Classic Datsun’s, where in the UK it is very hard to find a rust free example. It has air conditioning but it is not currently functioning. It is the very rare 1974.5 model which was only produced in the States from 1974 for 6 months hence the 1974.5 name tag.